Air Source Heat Pumps (ASHPs) or Solar we install, commission, service and maintenance. Renewable energy isn’t just a modern buzzword – it’s an opportunity to make incredible savings on your annual energy bills, and even make profit on any energy that you don’t need! At Moreheat Ltd., we install a range of renewable energy technologies throughout Torquay, Torbay and the surrounding areas. From solar panels to air source heat pumps, our MCS-accredited engineers offer a comprehensive and reliable service at a competitive price. Our team in Torbay are on hand to answer any questions you may have, before providing you with a free, no obligation quote detailing the costs of installing renewable energy sources at your property. Contact us now to find out more. Solar panels are an ever more popular sight on properties in the South West and with good reason. Advances in solar panel technology has meant that it is more economical than ever to take advantage of the free energy provided by the sun. 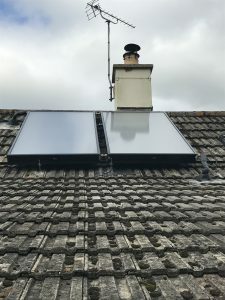 A professionally installed solar heating system will usually provide you with the majority of your hot water needs during the summer months whilst contributing a smaller amount in the winter. Moreheat Ltd. can supply and install solar thermal panels to heat water for immediate use or storage. We can install from scratch or retrofit to an existing hot water system as needed. Our OFTEC registration is proof of our competence in the installation of renewable heating appliances such as solar thermal systems and air source heat pumps. We have also agreed to abide by the standards set out in the Renewable Energy Consumer Code (RECC). If your property is not on the mains gas supply and you have been using oil and/or solid fuel to heat your home you will probably wince every time the energy bill lands on your mat. 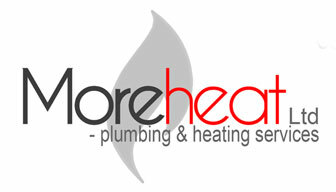 Moreheat Ltd. can help reduce those energy costs by installing an air source heat pump to the outside of your home. Air source heat pumps are well suited to off-gas properties. Powered by electricity, they work like a refrigerator in reverse, taking cool air from outside and efficiently converting it into warm air inside. Just as with gas central heating systems, air source heat pumps can provide you with hot water and central heating via radiators and underfloor heating. However, you should ensure your house is well insulated due to the lower temperatures involved. Compared with electric, oil and solid fuel heating, air source heat pumps are cost effective and kind to the planet. For more information on air source heat pumps, including their suitability for your property, please contact our Torquay-based team. Moreheat Ltd. are committed to providing the highest standards of installation for our customers and have been certified by the Microgeneration Certification Scheme (MCS). The MCS is a nationally recognised benchmark for the installation of systems used to produce energy from renewable sources. MCS-compliance is also compulsory for many government-backed financial incentive schemes. After Moreheat Ltd. have supplied and installed your micro generation product we will issue you with an MCS certificate. Solar water heating can supply up to 60% of the hot water you use every year. With the price of natural resources soaring, solar power is a prudent investment.